Notice how this laminate bookshelf has the toe kick recessed. This looks like a store bought unit. When fabricating your own plastic laminate Formica book shelf unit, you should recess the adjustable shelves. 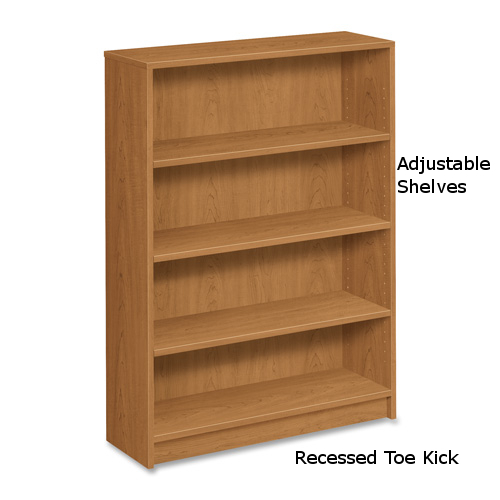 Refer to this article for building a Formica laminate bookcase. In it you will find all of the specifications you need to know in order to do the cabinet fabrication correctly.